बॉर्डर एरिया J&K Police Recruitment SPO(Special Police Officer) Jammu, JK Police Special Police Officer(SPO) 200 Posts Application Form 2018, J&K Police SPO Recruitment Jammu, JK Police Special Police Officer Jobs 2018 Jammu. 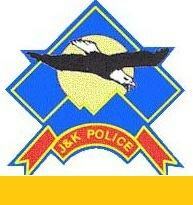 JK Police Recruitment 2018: A special job opportunity for the youths of the border area of Jammu & Kashmir, 200 posts for Special Police officers (SPO) especially announced by the ministry of home affairs and J&K Police department to reduce the rate of unemployment in border districts of Jammu & Kashmir. Applications are invited from the eligible candidates of district Jammu for filling up the 200 posts of special police officers (SPO) on the temporary basis. The candidates who are residing within 0 to 10 kilometers of the border area in District Jammu can apply for JK Police SPO Recruitment 2018. Read notification is given below for other details such as age, salary and selection process etc. Domicile certificate residing of a candidate within 0 to 10 Kms from Loc to be duly issued by concerned Tehsildar and countersigned by concerned Assistant Commissioner Revenue. Applicants are advised to submit attested photo copies of eligibility certificate and bring along with the original documents for verification at the time of submission of application form. Color Photographs 4 copies (self attested) be attached with application form. Finally, through this page we have tried to provide all the important information about JK Police recruitment 2018. We hope that this information is helpful to apply for this recruitment. Therefore, please read the complete notification carefully before fill up the application form.